And the XWAUCP 1.6 is finally here. After so many new ships and features Darksaber decided it was time to make a new complete crafts pack. There are tons of changes in this one. So make sure to head over to the downloads section and grab it! - With the addition of new Hooks by Jérémy Ansel (JérémyaFr) another idea was proposed, to add Landing Gear to most of the playable Starfighters, it works on the same principle as the S-Foils. DTM set about adding landing gear to the X-Wing, Y-Wing, A-Wing, Z-95, and T-Wing and has done a wonderful job, later came the Missile Boat and Gunboat. 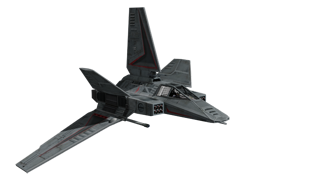 - The Assault Gunboat has had a major update by DTM, The wings and laser cannons have been reworked to introduce S-Foils, and to give to this imperial fighter a more aggressive and powerful aspect. All external textures have been repainted in HD by DTM, following the old lines designed by the original author (Matt). And to color match the TIE's, some small details have been added by DTM, thanks to the HD features. 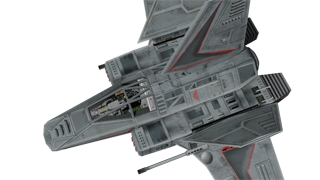 - Y-Wing textures have had another update and the T-Wing, the R5 unit has been removed as it was to the wrong scale, and the textures have been muted removing the yellowish color. - A SLAM System has been added to the Missile Boat thanks to Justagai who initially found the offsets and to Jérémy Ansel (JérémyaFr) who created the Slam Hook, this hook enables the SLAM system when the K key is pressed. - The Firespray (Slave1) has had an overhaul, with the addition of the S-Foils Hook by Jérémy Ansel (JérémyaFr), Darksaber had the idea of trying to get the craft to rotate 90 degrees so the engines would be facing downwards in the landing, so with a bit of tinkering from Jérémy Ansel (JérémyaFr) to the S-Foils Hook and DTM coming up with a solution to the angle rotation together we have managed to get the Firespray to rotate exactly how we wanted it to. - DTM updated the Nebulon-B Frigate with 4 different versions:- Standard: with a single deck hangar, Strike: with a double deck hangar, Carrier: with a multiple deck hangar (this is the version seen in the original TG games) and Medical: the Redemption seen in the movie, no hangar! - Darksaber and Driftwood also gave us a New CR90 Corvette, original model and textures are by Andrew Barragan (Barraganap) used with permission, you have a choice of 7 different versions. 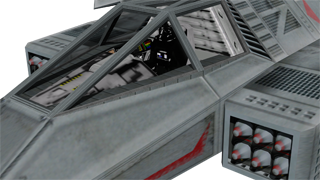 - Darksaber updated the A-Wing to include a new cockpit with HD textures based on the images of the A-Wing Cockpit from First Strike Star Wars Mod for Battlefield 2142. - Decoy's Z-95 HeadHunter has been removed from the Installer, sorry but it was a little outdated. - DTM has finished his Super Backdrop v2.0, this new version introduces new starfields, which characterize the different regions that are visited during the XWA campaign. - The Imperial Star Destroyer 2 has had a bit of an update thanks to DTM, now comes with Flightgroup Colours Red = Empire, Gold = Captured by the Rebel Alliance, Blue = New Republic, Green = Chimaera. - DTM has also updated his Strike Cruiser with HD texture. - Darksaber updated the R-41 Starchaser, due to strange shadowing caused by having a physical open tube for missile launchers on top of the main fuselage; he's also updated some of the textures to HD. - To take advantage of Weapons Color Hook you may notice a few changes to the color of the Lasers and Ions from certain craft, it's not a bad change, it just takes a little getting used too, it's probably not canon but who cares. If you don't like what we have come up with you can blame DTM, he came up with what craft fire which colour laser. - Laser Count from 64 to 256 option has been totally removed, as if applied, missions became out of balance and usually unplayable. - At the beginning of the year (Jan 2019) Jérémy Ansel (JérémyaFr) updated the hooks to add support for .ini files per-craft or per-mission, (Please Note: the.txt files are still supported) so instead of having to deal with countless *.txt files, in some cases 5 *.txt files per craft, this number has now been reduced to one *.ini files which was a bit of a relief. PLEASE DO NOT DELETE THESE FILES! Here we are with yet another bunch of great releases! GT loves all things big and epic. The first of the Space Colonies, while the last in line, is the first to be released in HD. Drastically scaled up from its rather puny original it features a detailed hangar complex, spacious enough to easily accommodate Lambda Shuttles flown by drunken pilots. It's another stunning beauty! Be sure to check out it's huge inside hangar! This HD rendition of GT's original Assault Transport has been given a neat buff in detail. In addition a few weird looking textures have seen various improvements. I would say we are off to a great start this year! So many great ships! Thanks to all involved, not only the creators, but also DS for providing the installers and all the team members testing out the ships and offering insights! 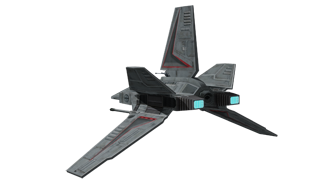 The meshes of the five wings and of the laser cannons have been reworked by DTM to introduce S-Foils, and to give to this imperial fighter a more agressive and powerful aspect. All external textures have been repainted in HD by DTM, following the old lines designed by the original author. Some small details have been added by DTM, thanks to the HD features. The textures of the wings are new by DTM, introducing a new art of Flightgroup colours. Landing gears have been added by DTM. They work thanks to Jeremy's S-Foil hook function. Boy do we have a treat for you guys! The boys behind the scenes have been very productive and we are ready to give you 2 new releases and 4 upgrade releases! So better strap in and make sure your joystick still works! From Top to Bottom and Left to Right you have "The Liberator", "Farstar" (Single Hangar), "The Fulcrum", "The Phoenix", "CR90 with Cargo Module" and the "Freedom" (Dual Hangar). The New CR90 Corvette Models and Textures are by Andrew Barragan (Barraganap) and used with permission. Driftwood cut and split the craft into usable meshes added the textures and made all of them usable for XWA. Darksaber has then refined the models by aligning a few of the meshes, adding a LOD model, recoloured some of the textures, adding rotation to the Gun Turrets and Comm Relays adding Hangar opts and enhancing the look of the dual hangar version of the Corvette named "Freedom". Standard CR90 = Has 2x Dual Turbo Lasers, 4x Single Lasers. FG 1 = Red/White, FG 2 = Phoenix Cell, FG 3 = Imperial, FG 4 = New Republic. CR90 'Liberator' = With added Docking Clamps, 1x Dorsal Quad Turbo Lasers, 1x Ventral Dual Turbo Lasers, 4x Single Laser Cannons. FG 1 = Red/White, FG 2 = Liberator, FG 3 = Imperial, FG 4 = New Republic. CR90 'The Phoenix' = Has 1x Dorsal Quad Turbo Lasers, 1x Ventral Dual Turbo Lasers, 4x Single Laser Cannons, 2x Heavy Turbo Lasers. FG 1 = Red/White, FG 2 = Phoenix Cell, FG 3 = Imperial, FG 4 = New Republic. 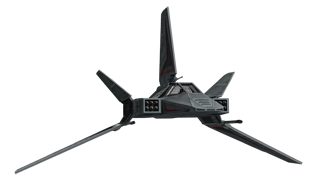 CR90 'The Fulcrum' = Has 1x Dorsal Quad Turbo Lasers, 1x Ventral Dual Turbo Lasers, 4x Single Laser Cannons. FG 1 = Red/White, FG 2 = Fulcrum, FG 3 = Imperial, FG 4 = New Republic. CR90 'FarStar' = With added Hangar Module, 2x Dual Turbo Lasers, 4x Single Laser Cannons. FG 1 = Red/White, FG 2 = Phoenix Cell, FG 3 = Imperial, FG 4 = New Republic. CR90 'Freedom' = With added Dual Hangar Modules, 2x Dual Turbo Lasers, 4x Single Laser Cannons.FG 1 = Red/White, FG 2 = Blue/White, FG 3 = Imperial, FG 4 = New Republic. CR90 with Cargo Module = Has 2x Dual Turbo Lasers. FG 1 = Red/White, FG 2 = Phoenix Cell, FG 3 = Imperial, FG 4 = New Republic. Like the Nebulon B Frigate's installer options, which ever option you select will be your primary option, but the installer will copy all the other versions of the opt models to your Flightmodels folder. It will then be up to you to decide how best to use them in your own missions, thanks to JeremyFr's "Craft Hook" features. This is an opportunity for advanced users. Please read the Editor Section to learn about it. Included in the installer are all the latest "Hooks" (latest "Hook" update September, 23rd 2018) these will install silently and replace the "Hooks" if newer. Currently we don't have new renders for this one, but I hope to get to that soon! 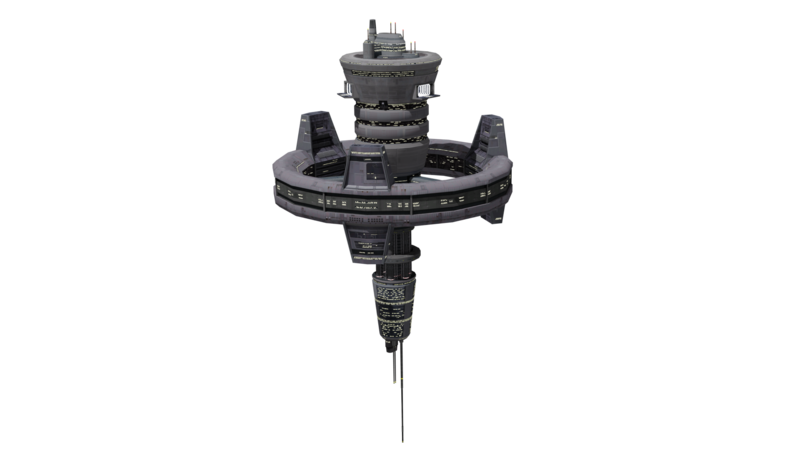 Special thanks to J�r�myaFr, and some very creative modding by DTM, the Firespray now rotates into a landing position as first seen in the Empire Strike Back on the Cloud City Landing Platform.